As part of its commitment to developing the Fruit & Vegetable sector, what could be better for SITEVI than to set out to conquer the world's 6th biggest Fruit & Vegetable market? In 2015, SITEVI hosted more than 100 international delegations from all over the world. We operate in more than 20 countries via our agents, helping numerous purchasers to attend the exhibition. For the first time, SITEVI is setting itself the challenge of conquering the huge Brazilian market, with three renowned purchasers! A state-owned corporation specialising in agricultural research and sharing knowledge, which has 46 experimentation centres throughout the country. The EMBRAPA is behind Brazil's transformation into one of the world's leading agricultural powers. Some of its units, such as the Fruit & Vegetable unit, create model farms which become the country's main technological benchmark. Exhibitor benefits: As part of their project to develop horticultural practices that can keep pace with climate change, they're looking for the most innovative machines, equipment and expertise in the sector for their new showcase farm focused on indoor systems (rooftop farming, vertical farming, urban farming, etc. ): Greenhouses, seedlings, maintenance, irrigation, precision spraying and fertilisation, control tools, harvest, treating horticultural waste (in particular, they need consultancy services for analysing their current system), wastewater treatment, sustainable energies and all other innovative solutions. 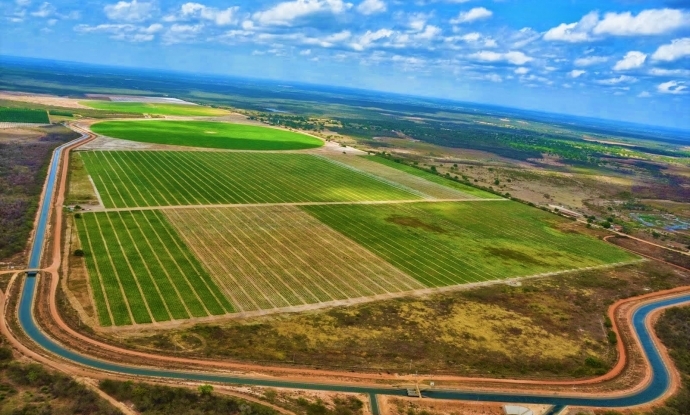 The F&V unit is also running a project with Ceará that involves developing horticultural production systems in this semi-arid region in the north-east of Brazil (greenhouses for sustainable horticulture that operate semi-closed). The Vale do São Francisco, one of the world's main fruit export hubs, has been working with Business France Brazil since early 2017 on modernising its fruit production and packaging for export. Mrs. Mônica de Miranda and Mr. Dimas De Almeida two representatives of the sector have put together a list of needs and are going to SITEVI to choose the machinery, equipment and other solutions which will be presented to producers in early 2018. Exhibitor benefits: Any company operating in the F&V sector interested in selling in Brazil (a short list will be drawn up by representatives among the companies interested so as to select the products that meet their needs). They have been working with Sulky-Burel for several years. In May, both companies signed a strategic partnership to adapt the innovative technologies developed by Sulky's R&D teams for use with all self-propelled and towed fertiliser spreaders sold by Jacto in South America. Exhibitor benefits: Search for innovative technologies in the grape and olive sectors. Both crops are relatively similar to coffee crops and they think they can incorporate solutions presented at SITEVI into their machines and tools (purchase of parts and components, technology transfer, joint venture, etc. ).